Courthouse Square is alive with cute shops, museums, and restaurants. Shop at 3 blessings Boutique, The Polka Dot Elephant, Carlisle Gifts & Collectibles, or spend some time visiting Gallery Z, or the Kentucky Doll & Toy Museum. Herbal Stuff brings visitors to town from several surrounding states to check out special herbs and homeopathic remedies they offer and annual festivities are some of the best in the region. 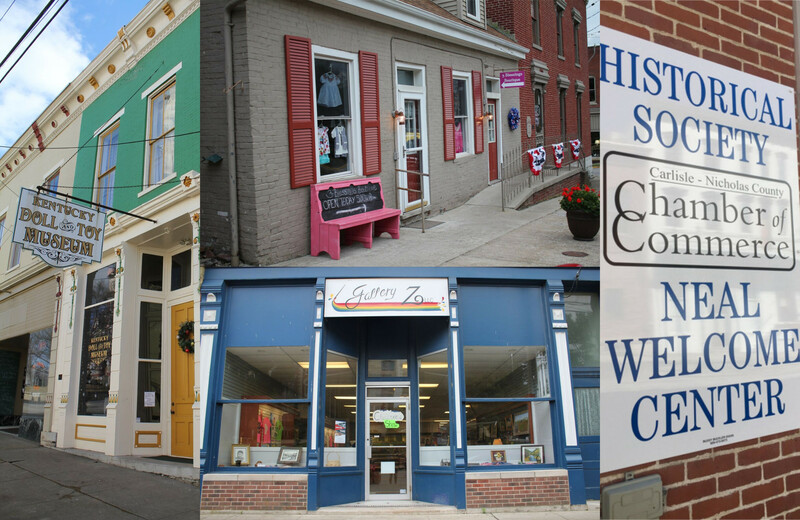 Whatever you're taste, we're sure you'll find something to love in downtown Carlisle. Copyright © 2017-2019 Carlisle-Nicholas Co. Tourism, Inc. & Nicholas County Historical Society All rights reserved.